Asclepiadaceae, commonly known as the Milkweed Family is now subfamily Asclepiadoideae in the Apocynaceae Family. Milkweeds include perennial forb/herbs, several twining bushes and shrub, lianas and seldom trees. The type species is Asclepias. In addition to Asclepias, this family includes the Stapeliae with their strange "rotted meat" or "carrion" fragrance that attracts flies necessary to pollinate the flowers and leafless stem succulents. Family characteristics; leaves opposite, simple, entire, latex production; highly structured floral structure (specific pollen vectors). Members of this family can be found in the tropics, subtropics (Africa and South America) and temperate areas. There are over 190 accepted species in Asclepias. 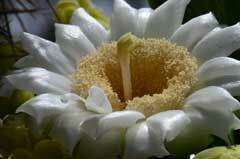 The entire Asclepiadoideae contain about 350 genera and 2,900 species. The Plant List (2013). Version 1.1. Published on the Internet; http://www.theplantlist.org/ (accessed 11/07/2105). Hugh Wilson, Professor; 2010, Herbarium, Department of Biology, Texas A&M University.